Adding a yellow sticky note to a flow is as simple as double-tapping within the white space of your flow editor. To delete a note, just click the 'x' in the upper right hand corner. 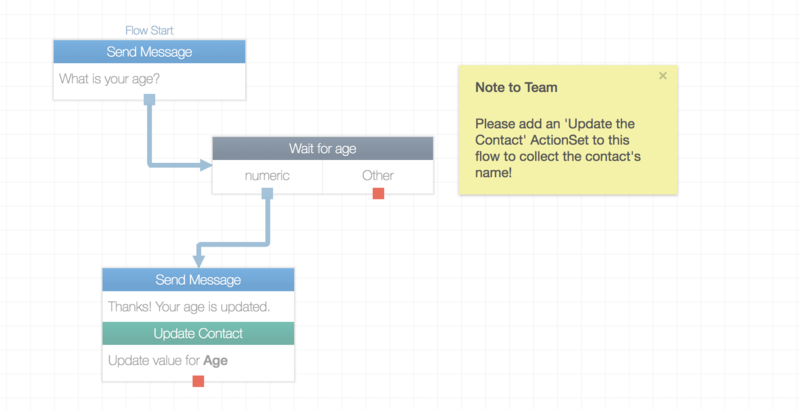 Looking for more information on how flows work? Check out this article.